This day was always coming, from the moment Marcelo Bielsa took over at Leeds United, perhaps from the moment he was first linked. Here came a coach who would make us walk the tightrope of glory above the fire pit of disaster, and a season spent hopping, hot-footed, from one to the other. We’ve been lucky and lulled by our first months of romance with Bielsa, and one heavy defeat after seventeen league games doesn’t mean the end of the affair. We had a miserable weekend with our illusions shattered, but it can be comforting to know we’re not the first to go through this with him. In 1992 Newell’s Old Boys, the team Bielsa made national champions the season before, began their Copa Libertadores campaign at home to San Lorenzo. They lost 6-0. Bielsa doesn’t bring happiness. Bielsa brings principles and duty, and faith that the effort of adhering to them will result in happiness in the end, and the understanding that it probably won’t. There are twenty-four teams in a division, and only one can win the title; in any round of fixtures, a maximum of twelve teams can win; even if you win a game, or a trophy, you have to play again next week or next season, and risk having it taken away from you. We’re trying to win as many games as we can to get promoted to the Premier League where we’ll be beaten every week. The odds are firmly against winning anything in football and Bielsa’s career has been an argument, that he made again in his press conference this week, in favour of losing with nobility. If you stick to the principles of your style and lose, all you lose is the three points, or the title. Lose your principles and you also lose your identity, and that’s what Bielsa designs to defend. What was left, at the end of the game at the Hawthorns, that was identifiably Marcelo Bielsa’s Leeds United? The scoreline was not what we’ve become used to; West Bromwich Albion’s goals looked like Paul Heckingbottom’s legacy, not Bielsa’s. The capitulation — two goals in two minutes, four in half an hour — was an infuriating reminder of old Leeds teams, although those teams often featured the same players. But there was more of Bielsa in the performance and the result than was at first apparent. 71 per cent possession and a 4-1 defeat can be read as a symptom of keeping the ball for its own sake, but there was very little of Jaap Stam’s infamous Reading in what Leeds were trying to do. 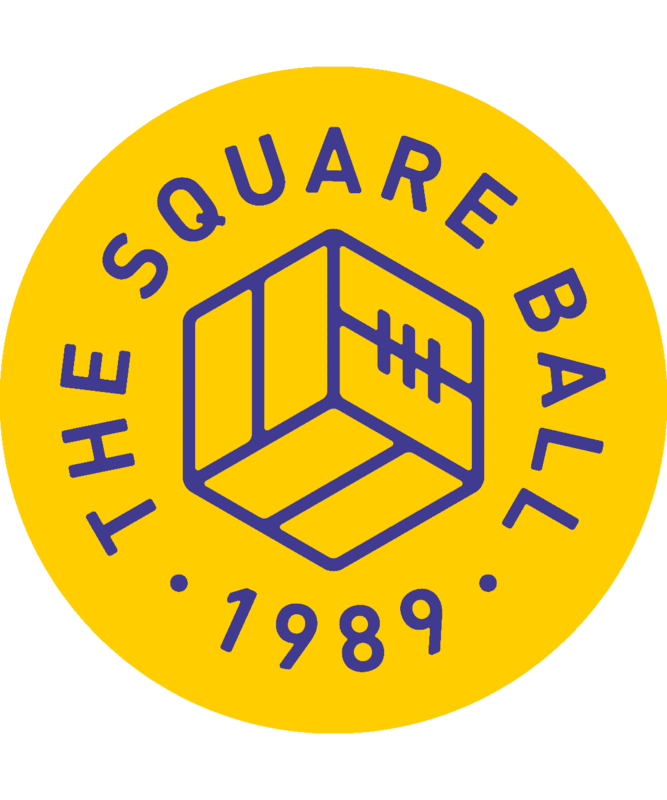 The numbers break down further: Leeds played 229 backward or square passes, but 241 forward; they played 106 passes in their own defensive third, but 244 into the middle third and 120 in the attacking third — three times as many as West Brom — and eighteen into the penalty area, compared to West Brom’s eleven. Leeds created thirteen chances from open play compared to West Brom’s ten. Bielsa’s philosophy values possession because it enables you to attack, meaning you don’t have to defend. After a game the numbers he’ll bring up first are not possession but chances created; he’ll talk first about what was happening in the final third. Failure to get the ball forward quickly is one of the few situations that gets Bielsa off his bucket, roaring at the defenders and swinging his arm in a forward motion. United’s problems at West Brom were not due to fannying about at the back. The problem was trying to attack an opponent that didn’t share Bielsa’s faith in his attacking players. Bielsa believed Adam Forshaw, Mateusz Klich, Ezgjan Alioski and Pablo Hernandez would link with Kemar Roofe, with Barry Douglas and Stuart Dallas overloading out wide, and create chances. West Brom’s coach Darren Moore believed that if he let Leeds come upfield those attacking moves would break down, and that his line of fast powerful forwards across the width of the pitch could counter quickly behind so many forward players and score. The sight of eight Leeds players surrounding Josh Windass at Wigan last weekend might have made Moore pause for thought, but Windass was on his own and Leeds still had to chase him. With Kalvin Phillips stranded forward, West Brom could make Pontus Jansson and Liam Cooper do what they like to do least, turn, knowing that when they did turn, they would see and be horrified by Dallas’ lack of positional intelligence at right-back, and their attempts to solve that problem would leave space in the middle. If Leeds had clicked in attack all Moore’s plans might have come to nothing as Leeds took a 3-0 halftime lead, but Hernandez couldn’t influence the game and Samu Saiz was on the bench, where he couldn’t do anything to unlock West Brom’s deep defence. So instead it worked for West Brom; no sooner had Roofe claimed a penalty at one end, than Hal Robson-Kanu was in behind Dallas at the other, given space to round Jansson and shoot past Bailey Peacock-Farrell. The second goal started nearer to Leeds’ net; Klich was trying to start an attack from halfway but couldn’t make his mind up — perhaps it was a hard decision without Saiz on the field — so Matt Phillips took the ball off him and shot from too far out and too tamely, but scored into the bottom corner anyway. After that goal there was no chance of Leeds shutting up shop and taking the defeat, and it’s easier to understand why Bielsa took Douglas off when you realise he wanted to put as many wingers on the pitch as possible to try winning 3-2. Saiz was finally allowed to join in, and brought the key to West Brom’s defence with him, chipping into the penalty area for Hernandez to score a lovely looping header; but by that time United’s commitment to attacking had them chasing a 4-3 win, then 5-4, as it became easier and easier for West Brom to counter attack and score. And that’s how Leeds, trying to play attacking football and win, were defensively exposed and comprehensively beaten. If there’s a positive to take from the game it’s that it hasn’t come sooner, which is a hopeful sign that it won’t happen frequently. Because it’s not going to change, and it will happen again. 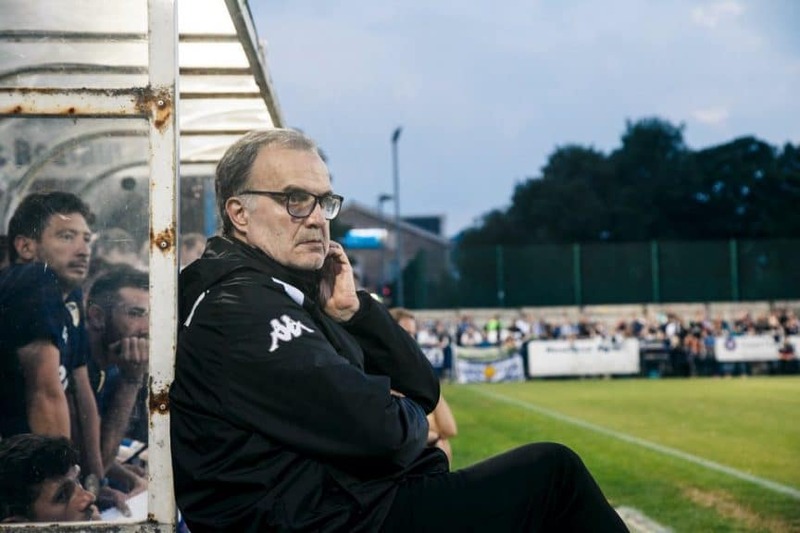 Such a heavy defeat always leads to a crisis of confidence, but it’s like shouting in the wind while Bielsa is here; the usual solutions do not apply. Bielsa is not going to go start going 4-4-2; he’s not going to drop the players you don’t like and play the kids you’ve not seen but assume have ‘passion’; he’s not going to spend out of his problems in the January transfer window. Bielsa said this week that he thinks his squad is good enough and he doesn’t need new players; “The club can have a different opinion and I will take that into account,” he said, but buying players is simply not Bielsa’s style. Back in 1992, he asked the Newell’s board to bring Roberto Sensini back to the club from Udinese; the only player he wanted was an Old Boy’s old boy. That wasn’t possible, so he just got on with the squad he had, that lost 6-0 in the first game of the Copa Libertadores. Four months later they had reached the final and won the Argentine title. “That he did not bring in reinforcements was a sign of great support,” said one of the players, Gerardo Martino. Bielsa had told them he trusted them, and it was a matter of principle not to change his mind when the team was under pressure. The players repaid that faith by working harder to get their small squad through the short term adversity. That’s what you get with Bielsa. You get to do things the hard way, with no safety net, existing in a constant state of insecurity even at the top of the league. You don’t give up the discussion about who should play in goal and whether his way of playing will work, but you do have to give up control. I think Bielsa should play Saiz, use a different right-back and find a way to try Jamal Blackman without ruining Peacock-Farrell’s confidence, but I know Bielsa will make those decisions according to principle rather than circumstance. In football it’s inevitable to lose more than you win, but opportunity is constant; after you win, you have to try again and might lose, but after you lose, you can try again and might win. So you might as well believe in what you’re doing, because no result is ever final. Bielsa’s football is the same experiment repeated over and over. He’s not going to give that up now. This is why people love Bielsa so deeply when he coaches their teams, because you don’t have any choice but to give him all the trust you have. You have to ignore your doubts, as he will ignore your doubts; embrace the excitement and the insecurity that is integral to his romantic football; go along for the ride knowing that heartbreak is inevitable, as it always is. All love affairs end in either divorce or death, whether it comes in four months or forty years, and Bielsa’s rawminded football doesn’t try to disguise that it is a way of raging against fate. That’s why fans of Newell’s Old Boys, Athletic Bilbao and Marseille love Bielsa like there’s no tomorrow. Because for a while you can believe there isn’t, if you believe in him.